Back Yard Remodel: We can install pavers, pergolas, patio areas, hardscapes, planter beds, landscape lighting, and decorative fencing. View our gallery to see examples of our projects. Contact us for any additional questions or pricing. Transitioning from lawn to a water-wise landscape is an ideal solution for Southern California Home-Owners looking to save on water costs and help the environment from California’s drought. Curb Appeal: With a high-quality landscape done by us your yard will stand out and add value to your home. Low Maintenance: All of the plants that we use are Native to the western areas and require minimum maintenance to flourish. Cost savings: water-wise landscapes with drip irrigations may reduce your monthly water bills by using less and distributing the right amount of water only in the places it’s needed. During your consultation we will review your plans and give you an estimated cost of the total project based on square footage and features. We recommend having a budget to give us a starting point. We can then begin the design process once we have decided on a theme. We will help with explaining color schemes and other themes that can be incorporated into your space. A design costs $750 per space but is refunded back into the total cost of our project (we are only providing designs for our installations and not designs that go out to bid.) Essentially, we just ask for a small commitment upfront. Once the design is finalized we will sign a contract to begin work. We can also do color but part of design fee is not refunded. After everything is installed Nick and/or Andy will go over the entire project with you and explain how to care for your new landscape. All that is left after that is for you to enjoy your new beautiful space and the savings! When searching for a company to work with for your landscape remodel, we recommend choosing a company with a contractor’s license. You may find that there are lower prices, but those companies are cutting corners and could put you at risk should something go wrong. As a licensed California landscaping contractor (CLSB #1009214) we are legally obligated to take on more overhead. These requirements, like bonding, workman’s comp, and insurances are actually good things that help protect homeowners, laborers, and business owners. We’re all for it and believe it helps everyone at the table, but it still raises operating costs significantly. When working with ALL Environmental Design, you can rest assured that we’re playing by the rules, care for our employees, and honor our word and work. Our approach is your home is our home. We have a variety of packages for installing drought tolerant landscapes. An average landscape design and installation is between $8,000 and $10,000 based on per 1000sqft. Plants, materials, and labor are included in the price, distance and size of project may vary the price. 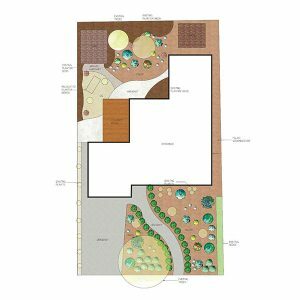 Before scheduling a consultation, please have an idea of your budget and size of your yard to help the process for estimating. For more information, fill out our contact form and we will contact you to schedule a consultation. Classic: The Classic Package includes removal of current vegetation and replacement with a drip system, drought tolerant plant design, and a mulch ground cover. 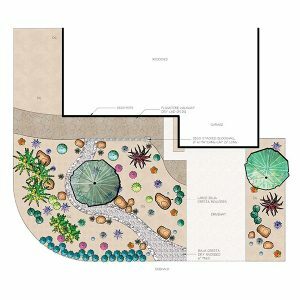 Signature: The Signature Package includes removal of current vegetation and replacement with drip system, a lush drought tolerant plant design and mulch or decomposed granite ground cover. 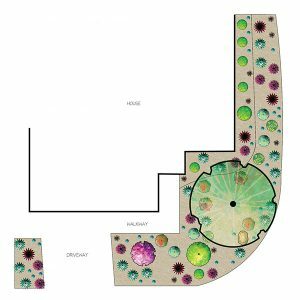 Premier: The Premier Package includes removal and installation along with decorative rocks, accent pieces, and native-rock river bed or flagstone show case pieces included in the design. We hold a $5K min for landscape/remodel projects.